So the second week of GBBO is Biscuits. Not something I make that often really (I prefer cake! ), though I did make fruity coconut florentines last year. Having seen the challenges that the contestants had to face this week, Biscotti for the signature bake, Arlettes for the technical challenge and a Biscuit Box for the showstopper, I decided that biscotti would be my choice. An Italian favourite, ideal with an espresso, they are baked twice and have a great snap to them. From this week’s GBBO episode I learnt they should be only just set after the first bake, to prevent them burning on the second bake, and that they should not be rock hard. Although I baked my biscotti earlier in the week and didn’t know this useful bit of information, I seem to have got away with it. My mango, lime and pistachio biscotti were rather moreish! 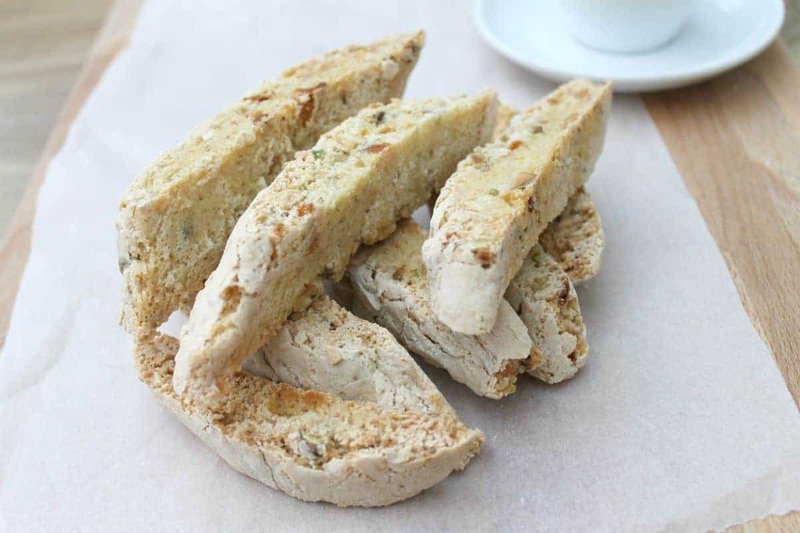 My biscotti are flavoured with chopped pistachio, chopped dried mango and pure lime oil. 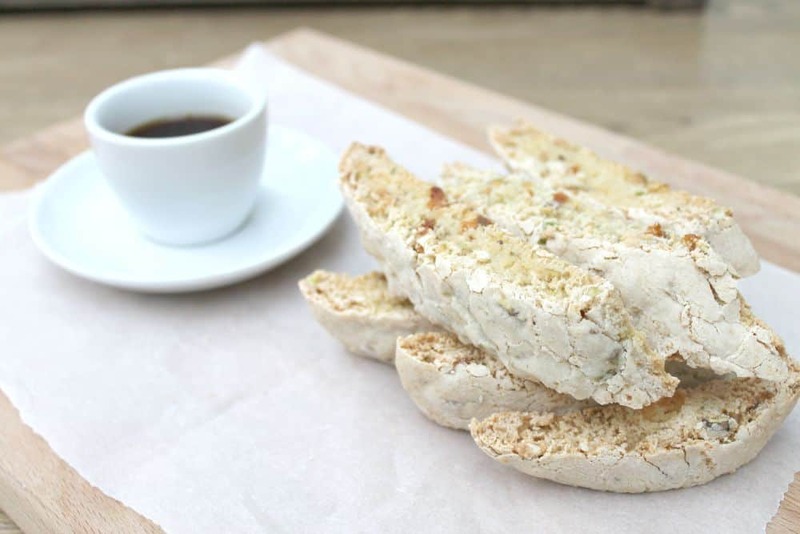 The combination works really well together, and the pistachios give the biscotti a great texture. 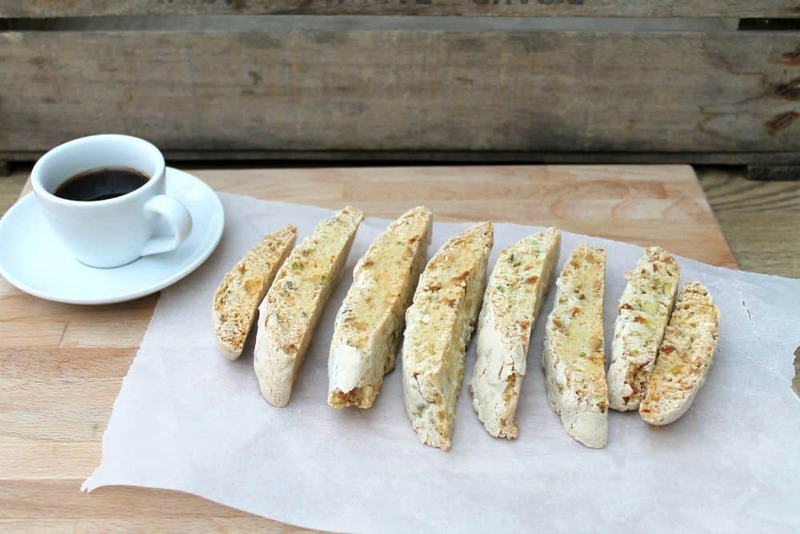 The citrus flavour of the lime cuts through the sweetness of the biscotti itself too. I based my recipe on Paul Hollywood’s basic biscotti recipe from here, and adapted it using my own flavours. My favourite of the biscotti on GBBO this week were the orange, almond and Rosemary ones that Ian made. I loved the sound of those. Preheat your oven to 140 degrees (fan). Place the flour, baking powder and caster sugar in a bowl and mix. Add the eggs bit by bit, mixing well after each addition. Carry on until a firm but not sticky dough is formed. You may not need to use all the eggs, I used about two and a half eggs. Add the chopped pistachio, mango and lime oil and mix it well by hand until it is evenly distributed through the dough. Place the dough on a floured work surface and knead it gently, then split it in half. Roll each piece into a log shape, and place on a lined baking sheet, leaving a gap in between as they will spread. Remove from the oven, check that the logs are set, and allow to cool for about ten minutes. Use a serrated knife to cut the logs into thick slices, diagonally. Return the slices to your baking tray, cut side up. Bake for 25 to 30 minutes, turning over half way through. Ensure the biscotti are cooked through before removing from the oven. Leave to cool. 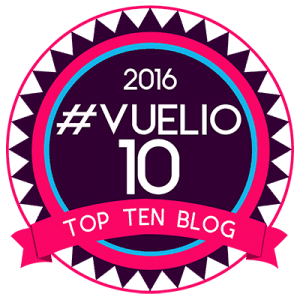 Finally, I’m linking up with CookBlogShare, hosted this week by Kerry from Kerry Cooks. Disclosure: I was sent a set of citrus oils by Kings Fine Foods for the purpose of using the oils in a recipe, I was not compensated for this post and all views are my own. Ooh these sound wonderful! I love the sound of them as they must taste really Summery – a crunchy delight with a cuppa! I love the sound of these! Like a crunchy tropical party in my mouth! I would have never thought to use the flavours you did, but I love them! have never made biscotti. These look great – love pistachio. Thanks, they last for ages which is great. They look delicious and really well baked. 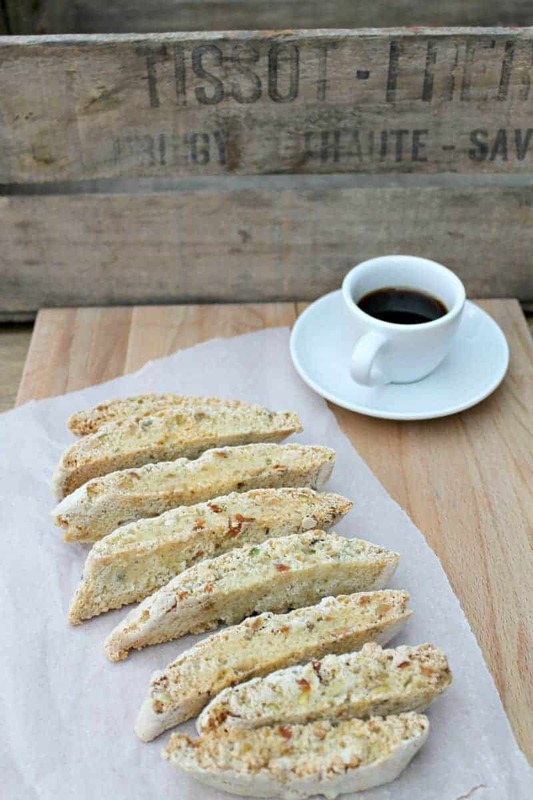 I baked the biscotti before the show too, as I want to post the recipe Wednesday morning. This is a little more challenging too. 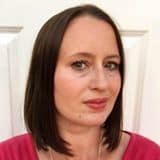 I have a link-up for GBBO bake along, if you want to join in. What a great flavour combo! I bet they’re delicious. These sound heavenly, all those flavours will work so well together. Yum! I love the flavours in these. You’re so organised being on top of the GBBO action. These would woo Paul, definitely. Thanks Kate, they were tasty. Not sure Mary would like the combo but perhaps,Paul would! Mmm, these look sooo good. Certainly looks like you’ve mastered the bake – or bakes seen as they’re baked twice. Thanks very much! Your flavour sounds great, I’d love to try that. Thanks Jenny – I forgot to take them to work to share in the end so will just have to finish them all off. What a shame!